Language is a distinct trait that separates humans from the rest of the pack, even if we don’t all speak the same language. It is a trait characterized by cooperative turn-taking, where we exchange information by taking short and flexible turns as we speak with each other. Turn-taking is used universally across languages and cultures, and some signs of it can be found in all clades of the primate lineage. Because of this, turn-taking has been suggested as an ancient mechanism of the language system that bridges the gap between us humans and our inarticulate primate cousins. Since language is a major area of study for evolutionary theory, researchers from the Max Planck Institute of Evolutionary Anthropology wanted to determine what nonhuman primates and other animal taxa may exhibit for similar behavior. The researchers assessed previous literature by reviewing turn-taking phenomena in birds, mammals, insects, and anurans. “Direct comparisons of turn-taking skills of nonhuman animals in relation to language origins are highly constrained by lack of data, the application of different terms, methodological designs, and study environments,” says Simone Pika, first author of the study from Department of Primatology at the Max Planck Institute of Evolutionary Anthropology. Pika also points out that studies have been biased toward birds and vocal interactions, and are mostly focused on just one key element of full-blown human turn-taking, known as the time window. The time window is the gap between an initiating turn and the response turn, and varies in human conversation from 0-500 milliseconds and across nonhuman animal taxa from less than 50 milliseconds to 5,000 milliseconds. 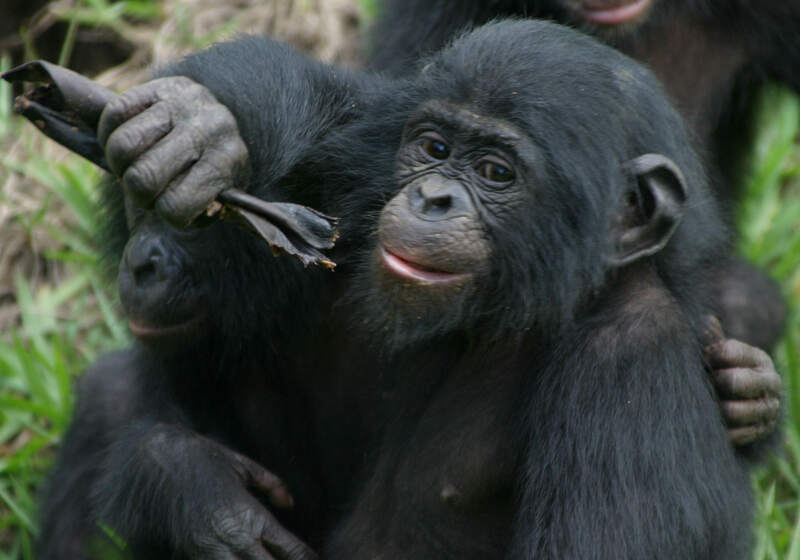 “Research studies on other turn-taking systems – for example gestural interactions of bonobos and chimpanzees – are currently relatively rare, but represent, due to the application of key elements characterizing human full-blown turn-taking, the most promising avenue to tackle the question whether turn-taking played a key role in language evolution,” says Pika. To improve research efforts, the researchers propose a new framework, which looks to enable comparative research through focusing on four key elements that characterize human conversations. These four elements are flexibility of turn-taking organization, which individual is taking the next turn, when the response turns occur, and what the next turn does. The study’s authors suggest applying this framework to precisely chosen representatives of over 50 genera of primates, and using it to characterize the current turn-taking phenotypes. The researchers also believe that more attention should be paid to related phenomena due to convergent evolution. Past studies on language competence and cognitive skills of parrots and corvids have put into question the previously assumed simple inverse correlation between language-readiness and genetic distance from humans. The new field of comparative turn-taking could help solve one of the most difficult problems in science through testing whether turn-taking had significant downstream effects on human culture and cooperation, and determine whether it may have laid the foundation for the evolution of language.